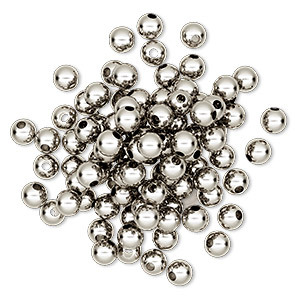 Bead, imitation nickel-plated brass, 5mm smooth round. Sold per pkg of 100. Bead, nickel-plated brass, 6mm round with 2-2.5mm hole. Sold per pkg of 1,000. 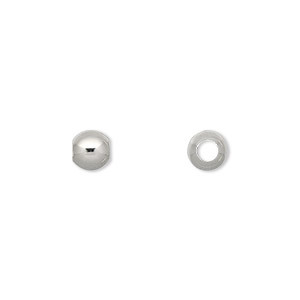 Bead, nickel-plated brass, 6mm round with 2-2.5mm hole. Sold per pkg of 100.